No Rear Neighbors and No HOA! 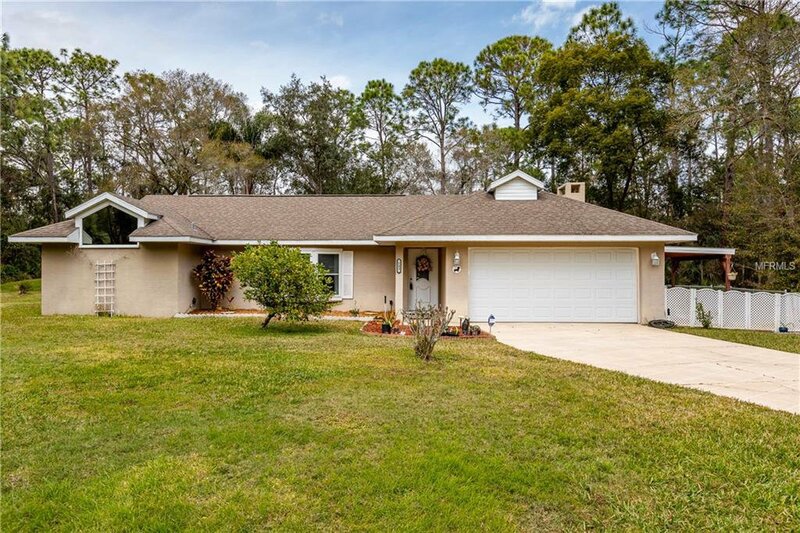 This immaculately kept pool home features upgrades in every room, and is situated in a peaceful country setting still just minutes from shopping and conveniences. As you step inside you'll immediately be welcomed by the HUGE family room, highlighted by gorgeous hardwood floors, vaulted ceilings, and a triple bay window that lets in SO MUCH natural light. In the kitchen you'll find stainless steel appliances, Corian countertops and backsplash, and breakfast bar seating. The master bedroom offers plenty of room for a king set with private sliding door access to the screened pool enclosure, and the ensuite bath has dual walk-in closets, a new walk in shower and granite counters. The true split floor plan creates comfort and privacy for family and guests, with 2 generous bedrooms and full guest bath across the home. Out back, the crystal clear pool offers a perfect summer time retreat with a large covered patio area for entertaining and brand new screen in the enclosure. A detached shed offers additional storage on the oversized lot, and recent upgrades including a brand new hot water heater, new shower enclosures & granite counters in both bathrooms and an updated kitchen offer you peace of mind. The features in this home are too many to list! Don't miss your opportunity to make it yours! The adjacent 1.3 acre lot is also available - MLS ID# G5011757. Interactive 3D tour available. Listing courtesy of KW ELITE PARTNERS IV. Selling Office: DALE SORENSEN REAL ESTATE, INC.